If you didn’t already know Dr Jamie Koufman has released not 1 but 2 books. 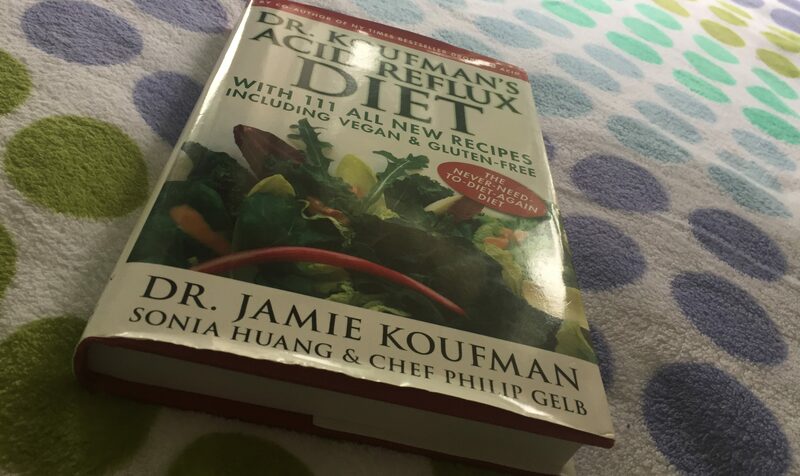 One is the Dropping Acid Diet and the other is called Dr Koufman’s Acid Reflux Diet. The dropping acid book was released in 2010 with the 2nd being released in 2015. Both books cover a lot of the same material though the newer option is more refined and updated than the older option and I would recommend just getting the newer version if you aren’t sure which to choose. Dr Koufman is somewhat seen as an authority in the area of reflux and LPR (Laryngopharyngeal Reflux) mainly because of her knowledge and treatment over the past years which has been gained somewhat from these books. What’s the Structure of the Books? As I recommend the newer version of the book I will focus more on its structure and content. 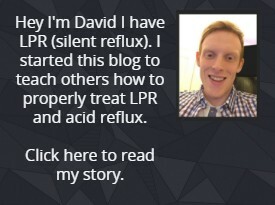 The book first talks about everything you need to know about reflux and how said reflux can bring on LPR symptoms on top of or instead of the typical reflux symptoms. She talks about how reflux is caused and the strategy that can heal and eventually cure your reflux and LPR (sometimes called silent reflux). She also talks about why her alkaline diet is effective at treating the problem along with advice for medication and surgery etc. Basically, once everything has been explained thoroughly and you understand the logic and the reasoning behind her diet strategy then you move forward into the first phase of the diet also known as the healing phase. As I mentioned the first part of the diet is the healing phase. This part of the diet is more restrictive, but this is to get a faster effect to induce healing and recovery more quickly. To give you an idea of this part of the diet she recommends eliminating foods with a pH of 5 or lower, this is because of the effect it can have when reactivating pepsin in your throat and giving you LPR symptoms. You can read more about the pepsin effect in my complete LPR guide. Along with giving you all the foods that fit the bill she clearly emphasizes the foods that must be avoided and the ones that are the best for healing also. The clear emphasis on the diet is lowering more acidic foods and drinks. The second element of the healing phase is drinking alkaline water which you can buy or make yourself. Alkaline water helps deactivate the pepsin in the throat due to its alkalinity and this directly will help with LPR issues and general acidity throughout the digestive tract. For the healing phase of the diet she recommends following it for 2 weeks though that can be extended if needed. Once you fell you have finished the healing phase you can move onto the maintenance phase, the difference being more food options open up for to you to eat when compared to the healing phase. The key point that she emphasizes is the trigger foods, everyone is different and will react differently to different foods. She points out this process during the maintenance phase by slowly reintroducing foods and if you get reflux then you know exactly what food caused it(the trigger food) and then you can avoid that food from then on. She also gives the most common trigger foods that you should be aware of. As far as drinks for the diet its alkaline water only the whole time with one exception of allowing chamomile tea. Once all the core parts are explained and all the food you are allowed and not allowed are out in the open the rest of the book gives recipes that follow both stages of the diet. I personally really like how the book is structured and written. There is little to no filler or useless information. In this book it felt that everything had a good reason to be in the book and was informative and helpful. The great thing about this is you can easily read the descriptive part of the book in about 1-2 days. This means you can get started on the diet quite quickly which is great. About one third of the book is the core information and the other 2 thirds is the recipes. As for the recipes they are descriptive with the exact information about portions and how exactly you want to cook and prepare the food which is good. The book has more of a focus on people with LPR but the diet itself is the perfect diet for people with typical reflux symptoms like heartburn. As for following this diet as an LPR sufferer, I personally did get some benefit though as I later learnt there are some small things about the diet that aren’t quite in line with following foods above a pH of 5, this is because a select few of the foods can be lower than 5 pH and this will trigger the pepsin in your throat and give you LPR symptoms. At this point I am nit-picking the book but I wanted to point it out. Finally, I would recommend the book for someone who suffers for common reflux symptoms like heartburn or someone who has GERD (Gastroesophageal Reflux Disease) – this diet for them should be very effective. As for someone with LPR this diet is very close to being perfect though there are a couple of foods that it recommends in the “healing phase” which may irritate LPR symptoms slightly. As an example, honey is allowed in the healing phase though it can have a pH as low as 4 which would reactivate pepsin about 60%. If you want more information about these foods leave me a comment below or contact me. As far as acid reflux diet books this is one of the best and one of the better books with a direct silent reflux. My final rating of the book is 8/10. You can buy it on Amazon here. For more information on treating LPR check out my complete LPR guide here. For a diet plan plan that is targeted for people with silent reflux check out my Wipeout Diet plan here. Previous articleBaking Soda for Heartburn – Is It Effective?